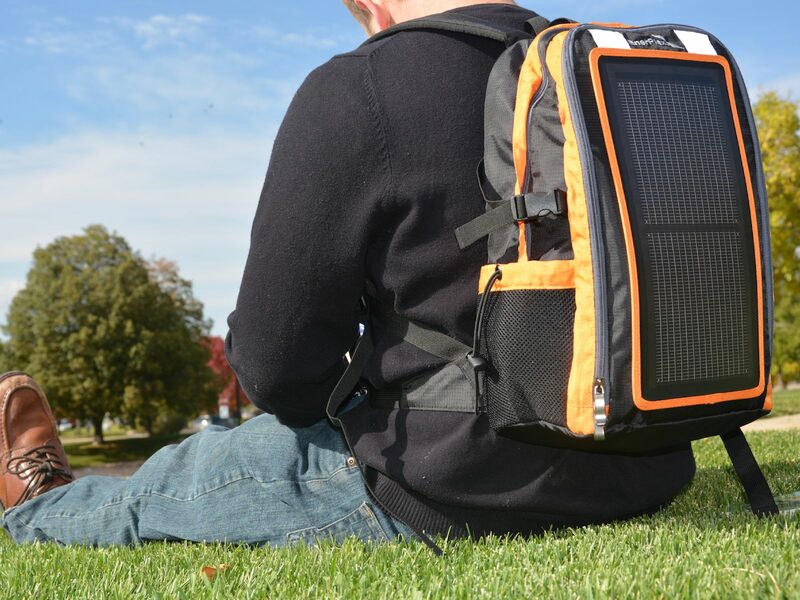 Aimed squarely at anyone carrying around a smartphone, the EnerPlex Packr solar backpack’s headline act is a dual solar panel on the front that charges anything via USB. It’s not incredibly powerful – just 3W – so we’re talking about a 10% top-up to a phone every 30 minutes or so of direct sunlight. Handily, there’s a three-way adaptor supplied that’s fitted with microUSB, miniUSB and the older Apple 30-pin connector for the iPhone 4s and older. Or you could just add your own USB cable. That charging point is found in an outer pocket that also contains two smartphone-sized pockets and an A4-sized compartment for A4 papers.In the main compartment is a dedicated pocket for a 13-inch laptop, and plenty of room for other gadgets or even clothes (there’s also two big side pockets for water bottles). At 30 litres, the EnerPlex Packr is pretty big, though exceptionally lightweight; its shoulder straps are not the comfiest ever made, and it’s really all about that solar charger, but outdoor types wishing to tread lightly in all senses will adore the EnerPlex Packr solar backpack.